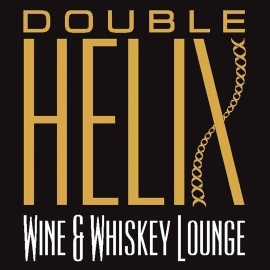 Welcome to Double Helix Wine & Whiskey Lounge, the newest addition to Town Square's busy movie theater corridor. Located in space formerly occupied by The Grape in the intersection shared by Blue Martini and Yard House, Double Helix Wine & Whiskey Lounge is slated for a mid-June grand opening. 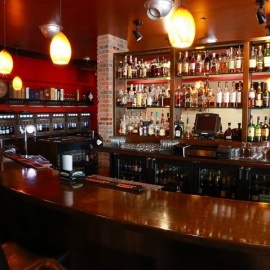 The 2,800-square-foot space features a full bar that offers 60 unique wines by the glass, 150 whiskeys, sampler flights, and Double Helix's signature "winetails". Chef Doug Vega, whose previous experience includes Daniel Boulud's DB Brasserie, has created a wine and spirit-friendly small-plates menu. Guests will be treated to shareable, melt-in-your-mouth dishes that satisfy any craving for $15 or less. The diverse menu includes cheeseboards, flatbreads, and a range of gourmet comfort food dishes like shrimp and grits, meatballs, and bacon-wrapped mini kobe beef hot dogs. 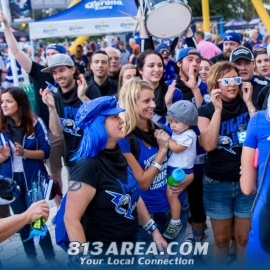 Don't miss the outdoor firepit + TVs!